** Easter Egg Hunt 2019: A wet but fun event for all ages. > QFD celebrates in WHB St. Patrick's Day Parade. A sea of green, March 10, 2019. * The girls loved coming to the firehouse and learning flag etiquette. They also enjoyed checking out the trucks and equipment. A great group of young ladies and our future leaders! >> Groundhog Day, 2019: We can relax, no more days of winter......don't bet on it. >> QFD ANNUAL PANCAKE BREAKFAST AND RAFFLE again was a big hit and helps the QFD maintain its Benevolent outreach and resources. Find below some fun pics of the day. > Fire Prevention and Safety Week was October 7-13. Go to our Fire Safety Ed. page for family safety tips and must 'knows'. QFD volunteers taught fire safety to our students and teachers at the Quogue School on Oct. 12. Fun and learning. Keep learning and practice to be safe. Fire Safety is a year round endeavor. > The Quogue Community and our nation will NEVER FORGET. > THANK YOU QUOGUE RESIDENTS FOR YOUR DONATIONS OF HOUSES FOR QFD and NEIGHBOR DEPT DRILLS: AUGUST 13 and 20. 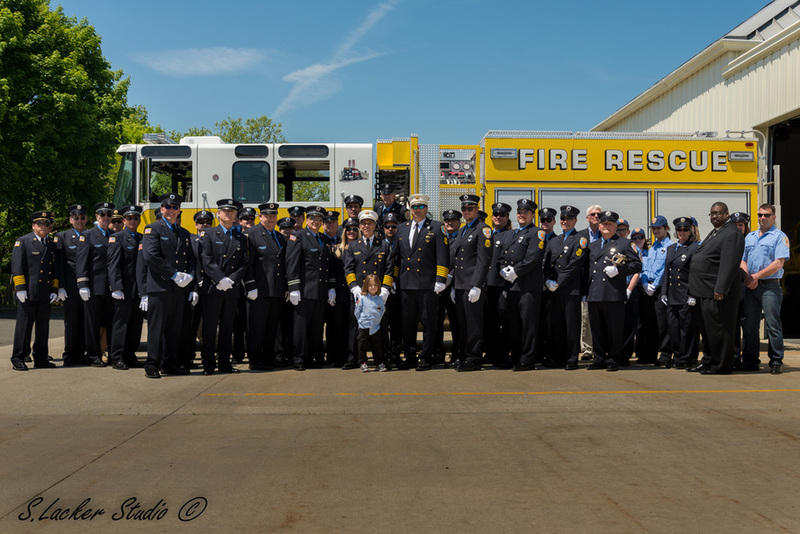 > QFD 2018 OPEN HOUSE: A FANTASTIC DAY. THANK YOU FOR YOUR SUPPORT! Enjoy the following pics and vids of the day. >Members of the Quogue Fire Department volunteered at the Quogue School PTA reading event. 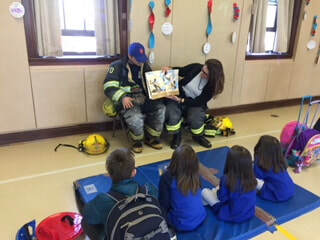 The children enjoyed listening to the volunteers read and were so happy that they were able to connect the local heroes with the school community for the afternoon. 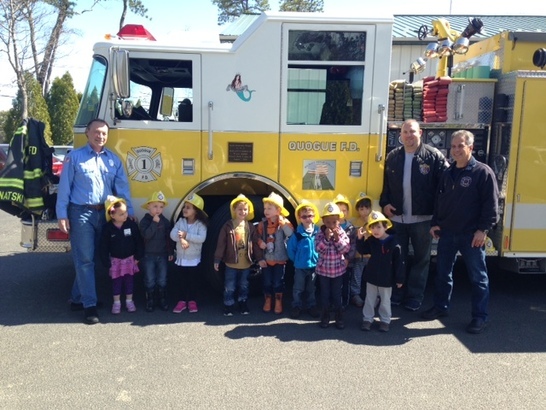 ​​>QFD visited Quogue School for Fire Prevention Month. QFD visited the Quogue School today for Fire Prevention Month. Good job. New Explorer Crew starts their first day.